The artists-in-labs program is part of the Institute for Cultural Studies in the Arts ICS, a research platform of the Department of Cultural Analysis at the Zurich University of the Arts ZHdK. The institute aims to examine and further develop cultural-analytical approaches to, and discourses on, the arts. Its research also explores the reciprocal epistemological potentials at the interfaces between the arts and other knowledge cultures – in particular the natural and technological sciences. All the collaborations the artists-in-labs program produces and the results from exploring the parallels and differences of scientific and artistic practices are presented at national and international exhibitions, conferences, lectures, workshops, and in publications, making it possible to share findings, and to provide accessible discussions and aesthetic experiences aimed at the wider public, students and experts. Neuroscientist Thomas Curie from the University of Lausanne and artist Sandra Huber during a lecture performance. 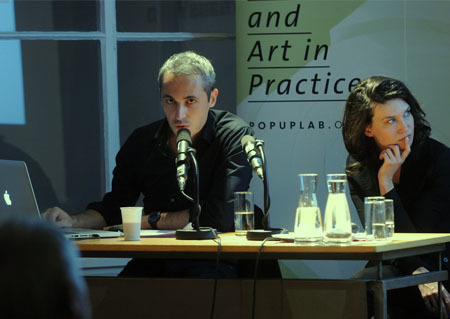 Pop-up lab: State of the Art – Science and Art in Practice is a project steaming from a collaboration of representatives from different fields of scientific research and art. During an immersive nine-month residency in a scientific research institute as part of the artists-in-labs program scientists and artists engaged in a sustained dialogue. Motivated by these meetings of minds, the participants of the project want to expand this dialogue and share the multidisciplinary approach with different audiences. Going out of the usual contexts and spaces of science and art the processes of research of both parties are shared and invite the public to participate through performative workshops, performances and events. Funded by Swiss National Science Foundation (CH). How and why do artists engage with science? Why are scientists interested in artistic representations of their work? What new forms of public access are created when scientists open their laboratories to artists? How might such collaborations tackle the ethical and political dimensions of complex problems? Funded by National Science Foundation (USA) and Arts and Humanities Research Council (UK). The redefinition of the cultural sector in 1997 that broadened the scope of the traditional arts to include the creative industries and services was a first step toward policies to promote the new economy of culture. The following report analyses how artistic interventions can contribute to the priorities of the Europe 2020 strategy "smart growth", "sustainable Growth" and "inclusive growth" at the national, regional and local levels and in all sectors. Supported by TILLT, Disonancias, Berlin Social Research Center. Art + Science: Towards a Third Culture? is part of Overgaden’s conference series Overgaden LECTURES, which was launched in 2013 to provide an annual opportunity to explore key tendencies in the field of contemporary art in depth. This year we are focusing on the interaction between art and science and examining the current hype surrounding the phenomenon. Which structural and methodological similarities and differences characterise the two disciplines? Why is an exchange between them relevant right now? Is it a dialogue between equals? And what role does financing and funding play in a relationship between what sceptics might call a mismatched couple? These are the questions at the core of the conference that will be explored over two days of lectures and debates with leading experts in the field, as well as via concrete experiences and results of collaborative projects between artists and scientists. The Conference panels will focus on topics meant to inspire and address many artists' desire to engage in other fields of discipline; while, at the same time, preserving the Conferences' aim to serve as an international forum for practicing artists and related professionals. Please visit our website (events) for more information in German. In conjunction with the exhibition Think Art - Act Science, swissnex San Francisco brought together four experts working at the interface of art and science to discuss how they navigate the boundary and reap the benefits of both disciplines. The Swiss artists-in-labs program being the basis of the exhibition Think Art - Act Science has been invited to outline its organisation. Within the exhibition Think Art - Act Science, the Kunsthalle Luzern invited for a panel about the multilayered questions emerging from our present-day relation to science and nature as well as the role contemporary art can play in this context. By bringing together different perspectives on issues evolving around themes ranging from integrative biology to aristic positions on sustainability a creative and constructive debate generated from both life experiences and theory. How can boundaries of situated knowledge be crossed? What are the values of exchanging practical and theoretical processes? How do scientists and artists perceive their work reciprocatively? Artists and scientist of the Swiss artists-in-labs program (2008/2009) presented their projects at the Zürcher Hochschule der Künste and shared their experiences with the public. For three days theorists and practitioners came together to address the controversies surrounding the discourses of Art, Art Theory, Perception, Media Theory and Media Technology and questions new concepts of creativity and co-authorship, as well as the future of theoretical education in relation to contemporary art and media practice. 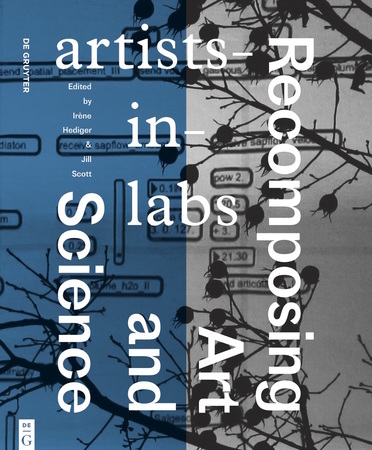 ARTISTS-IN-LABS: RECOMPOSING ART AND SCIENCE, publication featuring 8 art/science reports on artists-in-labs residencies from 2010/2011, with essays from Irène Hediger, Jill Scott, Lisa Blackman, Jens Hauser, Harriet Hawkins, Dieter Mersch, Arnd Schneider, Susanne Witzgall, 2016. Edited by Irène Hediger and Jill Scott, English, 268 pages, numerous illustrations on art and science, DVD with 8 short documentaries. Published by De Gruyter. 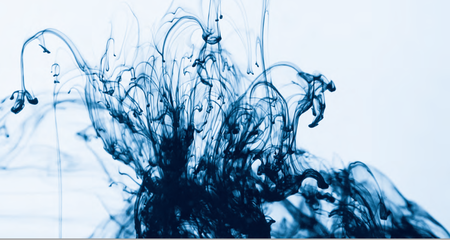 «Quantum of Disorder» – with this title as a starting point, scientists and artists provide insights into their world. Here, the issues revolve around the interplay between order and disorder, between system and deviation. 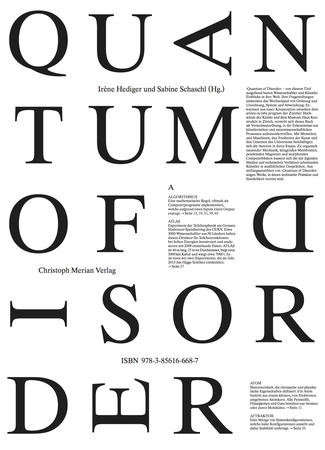 Resulting from cooperation between the artists-in-labs programme at the Zurich University of the Arts and Museum Haus Konstruktiv in Zurich, this book is intended as an experimental framework, within which, findings from artistic and scientific processes meet. In their essays, the authors address topics such as humans and machines, the freedoms of art, and the laws of the universe. In extensive interviews, artists who work with digital media and technical procedures comment on organically dancing mechanisms, sound-emitting membranes, swinging magnets and morphing computer images. Views of the group exhibition «Quantum of Disorder» show works that combine technical precision with sensuousness. Think Art - Act Science is an exhibition of projects by artists who have engaged in dialogue wih scientists form a variety of disciplines. All of the artists taking part in the Swiss artists-in-labs program have done a nine-month residency in a scientific research institute or a university science department. Think Art - Act Science explores the multiple dynamics of the collaborations that took place in the labs. The works on show reveal the communicative potential of the artists' responses to scientific research - preconceived perceptions of science and art were the first to be dynamited. The artistic researches have been articulated around three main areas of investigation: ecology and the environment, spatial awareness and the emotions and the new technologies. The exhibitions project in Barcelona adds in a local component with educational activities, discussion and research using methodologies that foster multidisciplinary creativity. The exhibition at Arts Santa Monica marks the start of a tour that will take the project to other cities in Europe, America and Asia. 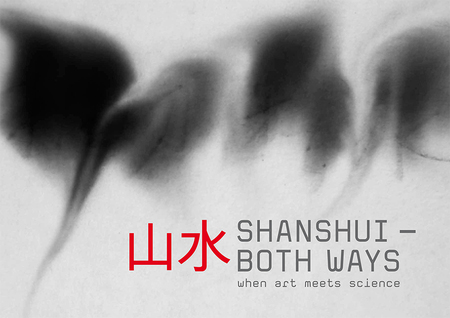 The publication presents the results of the cross-cultural exchange between Swiss and Chinese artists and scientists. They have been created in the context of the “Sino-Swiss Residency Exchange”-project within the Swiss artists-in-labs program at the Zurich University of the Arts. During an immersive 5-months residency the artists Aniu and Wenfeng Liao from China and Aline Veillat and Alexandre Joly from Switzerland explored, learnt and bridged the cultural gaps of understanding at science institutes in China and Switzerland with focus on environmental issues related to mountain (shan) and water (shui). The individual processes of the artists involved are documented, thus giving insights into the experiences, questions and difficulties that both artists and scientists have been confronted with during this immersive encounter. 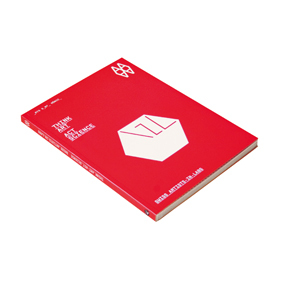 The “Sino-Swiss Residency Exchange” and the “山水 SHANSHUI – BOTH WAYS” exhibition and publication are parts of the Exchange and Cooperation Programme “Swiss Chinese Cultural Explorations” of Pro Helvetia. Networking in the Margins is about sharing information in the margins where immersive learning can expand the exact sciences and demand a more robust level of dialogue from the humanities and the arts. At base of these margins, sits an attitude, which values mixed levels of fantasy, reality and logic and accepts unexpected results. Therefore, this new edition will feature how the artists from the disciplines of sculpture, installation, performance and sound and ail partner scientists from the disciplines of physics, computer technologies, environmental ecology and cognitive analysis have complimented each others research from 2006 to 2009. While scientists have certainly learnt about art, artists have become more involved in ethical and social debates about scientific discovery in relation to society. In this book the potentials of networking in these margins are reflected upon by 9 prominent authors, 12 artists and 12 leading scientific researchers from various Laboratories. Processes of Inquiry verifies the need for the arts and the sciences to work together in order to develop more creative and conceptual approaches to innovation and presentation. By blending ethnographical case studies, scientific viewpoints and critical essays, the focus of this research inquiry is the lab context. For scientists, the lab context is one of the most important educational experiences. For contemporary artists, laboratories are inspiring spaces to investigate, share know-how transfer and search for new collaboration potentials. The nine labs represented in this book are from the natural, computing and engineering sciences. An enclosed comprehensive DVD documents the results, the problems and serves as a guideline for the future of true Art/Sci experiments.